3D printer manufacturer Ultimaker has released a new time-lapse video providing a look at their range of 3D printing systems creating a few 3D objects in the form the Low-Poly character set from Flowalistik. 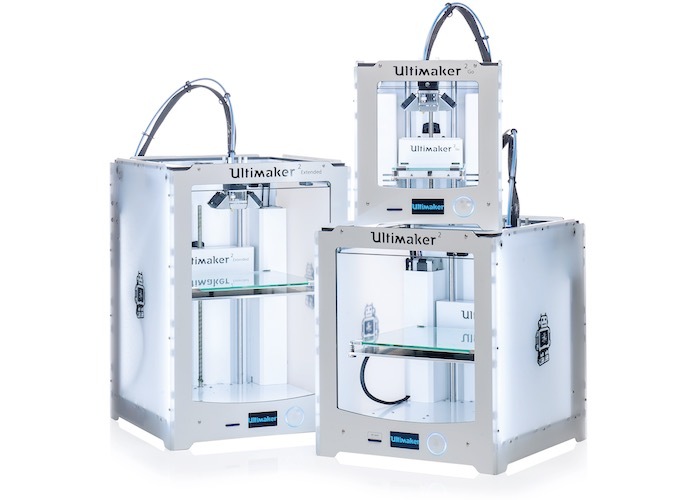 Ultimaker were so impressed the original designs by Flowalistik that they asked him to create an exclusive set for Ultimaker to use in demonstrating for their excellent range of 3D printers. From the very beginning we’ve nurtured an environment for open source collaboration and sharing. Through our industry-leading products such as Ultimaker 3D printers and Cura software, all realized through open source, people who joined our 3D printing community now have a way of expressing ideas and creating products with ease that just wasn’t there before. Our innovative Cura software makes 3D printing so easy. It’s a free to download 3D slicer which prepares your 3D models quickly and easily. For newbies it’ll do everything for you, and for experts there’s a world of advanced settings to tinker with. Cura has been engineered to make the very most of the Ultimaker family. And vice versa. Born from open source community collaboration, together they create a stable, reliable and seamless 3D printing experience. The Ultimaker community of 3D printing experts is great for useful tips & tricks, inspiring prints, immediate help and new connections. Start exploring today.